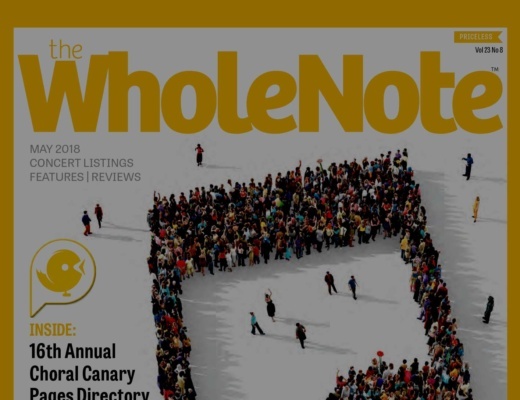 Our Conductor was interviewed in the latest issue of WholeNote! It is moments like these that are hard to put into words: why do conductors do this kind of work? Why sing under intensely hot lights and packed like sardines? Why drive two hours each way to lead rehearsal? Why spend hours studying scores and making notes in private? Why conduct at all? Last year in May, we explored with a range of choristers the reasons they give up so much of their time and energy to choral music-making. This year, I’m chatting with choral conductors to get perspective on the power of choral music in their lives, and why they do what they do. When she’s in Toronto, Crober raises her hands to lead VOCA Chorus; Cheryll Chung, an accomplished pianist, founded the Cantabile Chamber Singers in 2006; powerhouse Karen Burke leads the Toronto Mass Choir; and you’ve probably seen Shawn Grenke in action as associate conductor of the Amadeus Choir. Here they all share their ideas on the hard work of conducting and choral music. Success as a conductor requires success in all the people who make up a choir; Burke, as a conductor and as a teacher, looks for some-thing more than just musicianship in potential conductors and musical colleagues alike. She’s looking for a spark, someone who can communicate beyond the page of the music. 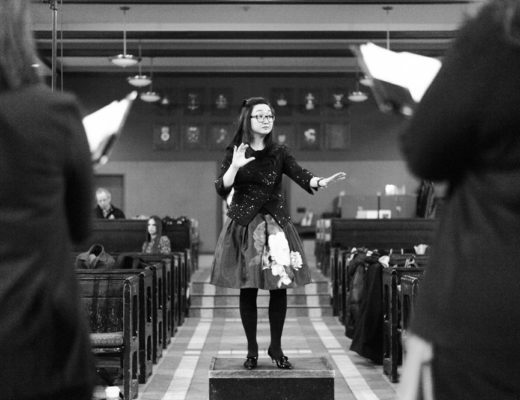 “There isn’t an ABC to being a choral conductor; you have to seek it out,” she says. There is no clear path to conducting and much trial and error involved. live.” I appreciate his candour, I tell him: I have some knowledge of that life first-hand. As audiences, we show up in the seats of a performance and criti-cize or enjoy the music. What we don’t see is the music teacher awake since 5:30am, teaching all day, then driving 90 minutes one way to rehearse for two and a half hours two or three times a week. Or the conductor that works seven or eight gigs a week to make ends meet. 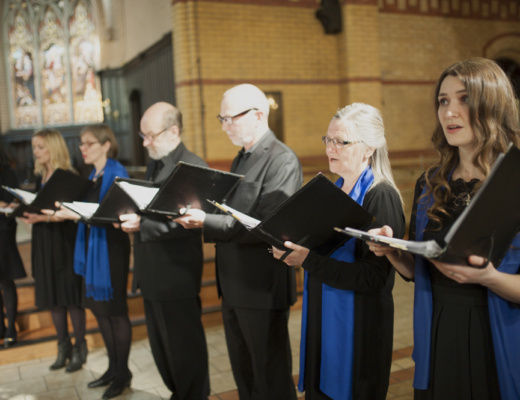 As Chung says: “The performance is just the icing on the cake.” Weeks before a performance, a choir gets the music and begins the process of rehearsing and refining. This is the hard work. This is where the rela-tionships and community are built. This is where conductors shine. And only if it all goes well do you get a chance to taste the icing. Get your tickets with the link below!